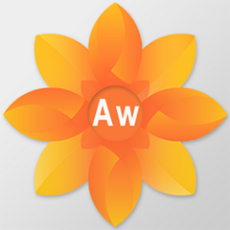 Artweaver Plus 6.0.7.14622 Portable ~ Apps2Portable | Free Portable Apps for PC ! Artweaver is a raster graphic editor, pretending to be an analog of Adobe Photoshop. The program can simulate the drawing of oil, acrylic paint, brush, crayon, pencil, charcoal, pastel, airbrushing, etc. Also there is presence of various filters, work with transparencies and layers, export and import of files into various graphic formats and much more. Support for the most popular image formats BMP, GIF, JPEG, PCX, TGA, TIFF, PNG and PSD, and the availability of its own AWD format. Work with transparencies, layers and groups of layers. The presence of a large number of tools for editing images (gradient, filling and selection). Presence of various filters (masking, blurring, stain, relief and mosaic). Ability to draw using a graphic tablet. Functions to undo and redo last changes.